Did you know technology can save you 300+ days of admin per year? Travel and Expenses are one of the highest costs to your business and could account for over 60% of your indirect spend! So if you're not effectively managing it, then you'll be wasting both time and money. As a SME, travel is essential to help your business grow. And the research says you're traveling more and more, with the number of flights taken going up by 38% in the last three years. But managing your T&E is easier than you think. Download our essential top tips guide and see how you can start saving time and money. 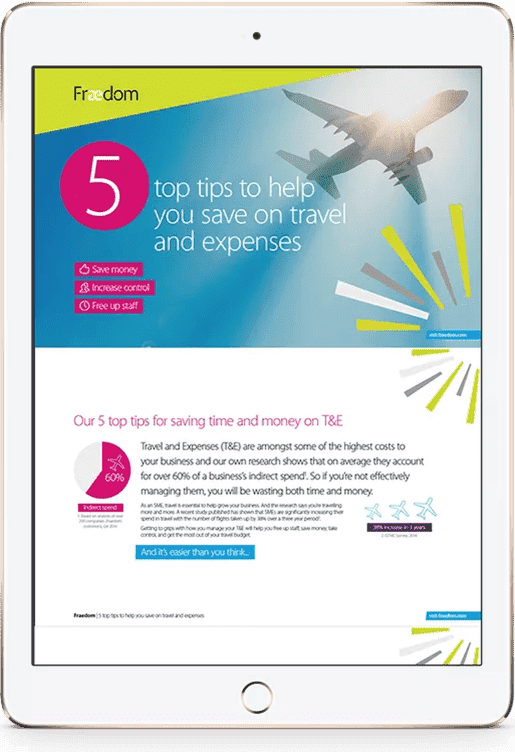 Get to grips with your T&E management and make the most of your travel budget. Managing your T&E is easier than you think and can significantly impact your bottom line.